Sloto’ Cash Casino is offering new players a massive welcome bonus in honor of its Pay Dirt slot game. Pay Dirt was the most popular casino game at Sloto’ Cash in the month of May. 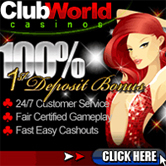 The big welcome bonus is a 213% first deposit bonus. Due to this huge bonus that is capped at a staggering $2,133, it should come as no surprise that this promotion is one that will attract the attention of high rollers. Furthermore, another feature about this amazing bonus high rollers will like is that while there is a 30 times the deposit and bonus wagering requirement that must be met; there is no limit when it comes to cashing out winnings. Players have a limited time to take advantage of this one time offer that is only available through the online casino’s newsletter. On June 14, the offer expires, so interested players need to act now if they want to benefit from this promo.